Can I import the profiling info it generates into my server? Putting it on your server won't do anything as JER is a client side mod. You'll need to provide it with your client configs. I will use your link. As long as the downloads are linked back to Curse links I'm fine with that. If you have any (crash)logs of this, please feel free to drop them on the issue tracker. Using this at CityCraft, thought I'd let you know that I linked here from the FAQ topic about which mods we are currently using. 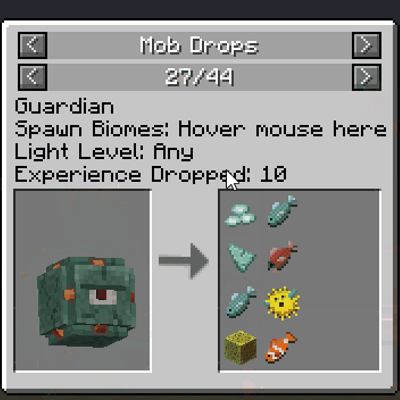 Would it be at all possible to get support for modded Mob drops for Mobs besides the Vanilla mobs? And modded plant drops too? 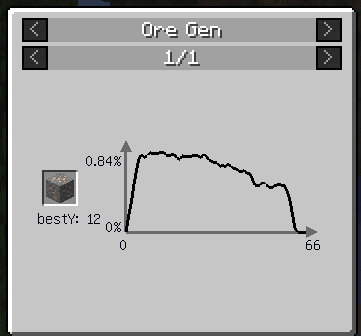 Can you explain to noobs like me how to do the world-gen.json or the /profile (chunk amount) (all) what does mean (all) ? Beacause the draconium ore from draconic evolution is not register. This applies to mods as well and not just vanilla, right? Most of the features work with mods as well. It would be nice to play well with other gui and not overlap so much. Im not sure how other Pixelmon for instance can include it without making their gui have this overlap it?